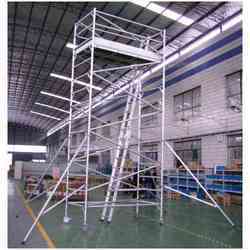 We specialize in manufacturing and supplying an extensive range Aluminum Mobile Scaffolding Towers. 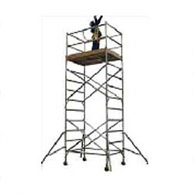 These towers are manufactured using high grade alloy, which makes these highly functional and durable. 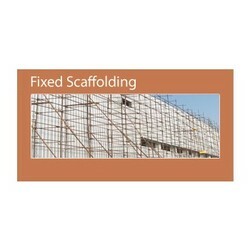 Owing to the quality of our range, our range ensures full safety of workmen. 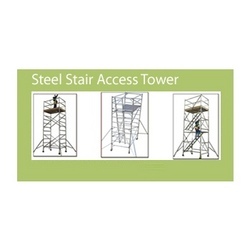 Our experienced and skilled professionals help us in designing a technologically advanced range of Steel Stair Access Towers. We make use of superior quality raw material in the manufacturing process of our range to ensure durability and better performance. These hydraulic scissor lifts are available in various sizes and can be extended to 8 m.